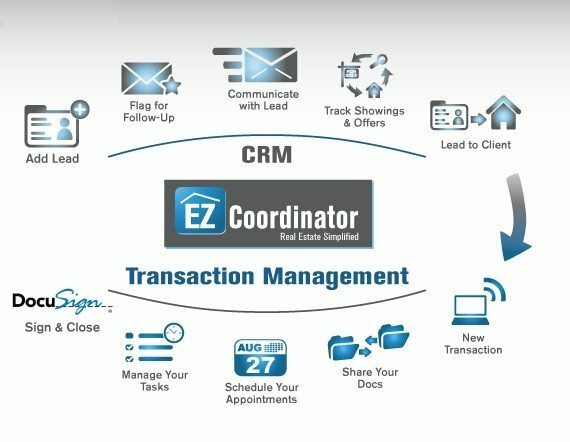 Transaction management platform provider EZ Coordinator has updated its customer relationship management tool, with a new mobile-optimized design, task management tools, document storage for files associated with a lead, and a partnership with agent IDX website provider Placester. EZ Coordinator, a division of San Francisco-based Sequent Systems, launched as a transaction management system a year and a half ago and integrated its CRM tool into the platform in April. EZ Coordinator also announced new partnerships with both Google Calendar and Contacts and the CRM system Infusionsoft. This update to EZ Coordinator’s CRM, which costs $20 per month, is based on feedback the firm collected from users since its April rollout, said Jeremy Shoenig, vice president of product operations at Sequent. Shoenig said the update simplifies the CRM. The revamped tool more clearly shows the contact history for leads, and makes tools like the offer-tracker more visual and user friendly, he said. The update also introduces a partnership with Placester that will allow CRM users to move listing data seamlessly back and forth between their website and EZ Coordinator and also receive a 33 percent discount off the cost of a Placester site. Placester says it has access to 90 percent of the multiple listing services in the country. Currently, Shoenig estimates that approximately 2,000 customers are using EZ Coordinator’s CRM, which is designed to work with its transaction management system to create a seamless lead-to-close tool. 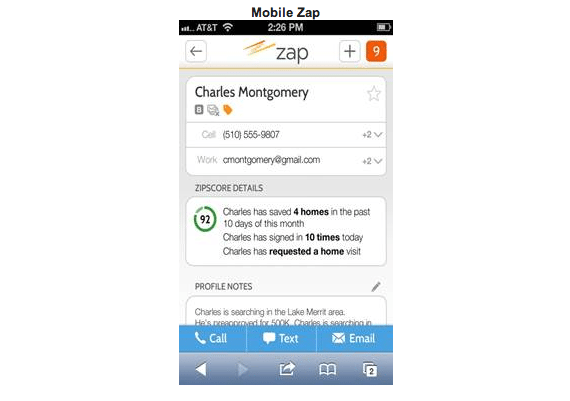 This month, ZipRealty released a mobile-optimized version of its CRM, “Zap,” which is available to ZipRealty agents and to agents working at “Powered by Zip” partner brokerages that provide Internet data exchange (IDX) feeds to ziprealty.com. In September, Market Leader began offering its CRM platform to brokerages and offices.